I have been using Amazon S3 storage for well over an year now and I totally love the service. However, today I had a situation where I had to give access to a single S3 bucket (the AWS account has a lot more S3 buckets) to a particular user. So, turns out, you can use Amazon Identity and Access Management for this. What IAM does is, it lets you create users and/or groups with their own security credentials and password, using which the users can access your AWS account and its services based on what permissions you allow. Normally, if a user only needs to access the S3 bucket, they would only need the AWS Access Key and the Secret key which gets generated every time you create a new user. However, if you also want them to be able to login to the AWS Management console, they are also going to need a password which can be explicitly set as it’s not set by default while creating a user. So, now I have 2 policies for this user. And now I can successfully connect to the S3 account as this user. I can see all the buckets but only the one defined in the first policy is accessible to me. Others, I can’t access. You can also use S3 Browser Freeware for to easily share your bucket with someone else. It has an very easy to use Bucket Sharing Wizard – this is IAM based tool that automates all of the tasks described above. 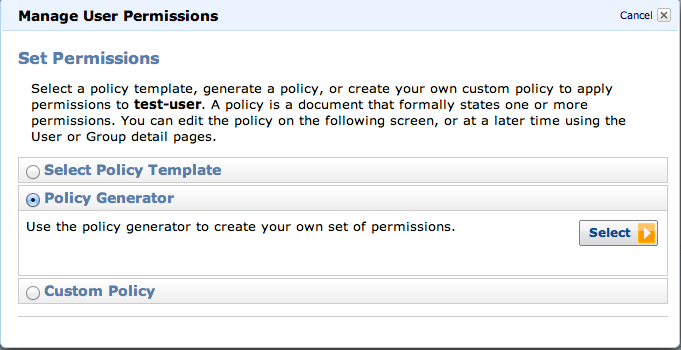 It allows you to create IAM user automatically, automatically generate and apply policy. this was very useful. is there any way to do this where the users can only see the buckets that they have access to? i don’t want users to be able to see all the other buckets. i don’t want users to be able to see all the other buckets. Perfect! I was having a hard time to solve this issue. Thank you. I do the same, but it works if I only put objects using putObjectAcl with public-read headers. Is it possible to avoid making objects public? Thanks for that, works perfectly! Anyone see anything wrong with this? When I do this I get access denied. But if I replace mybucket with a * I can access all the buckets with no problem. This would work except I want to limit the use to one bucket.